Alright so time for a 3 game update on the Ottawa Senators. Last night the Sens hosted the Carolina Hurricanes in a games that saw Alexie Kovalev break out of his long goal drought. The Russian scored a hat-trick, including his 400th NHL goal – the 82nd player to reach that milestone. 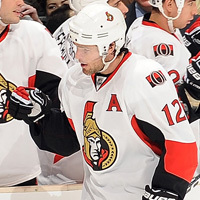 Jason Spezza also scored for the Senators (16-11-4), and Brian Elliott made 23 saves. In a game that featured two struggling offences, the Ottawa Senators beat the Philadelphia Flyers with defence on the 10th. Goalie Elliott made 23 saves in his second NHL shutout and Nick Foligno and Jesse Winchester scored third-period goals to give Ottawa a 2-0 victory over the slumping Flyers on Thursday night. And two days prior to that, Kovalev and his new team faced off against his old team when the Montreal Canadiens came calling. The Canadiens won 4-1 with Mike Fisher scoring the solitary goal for the Sens. 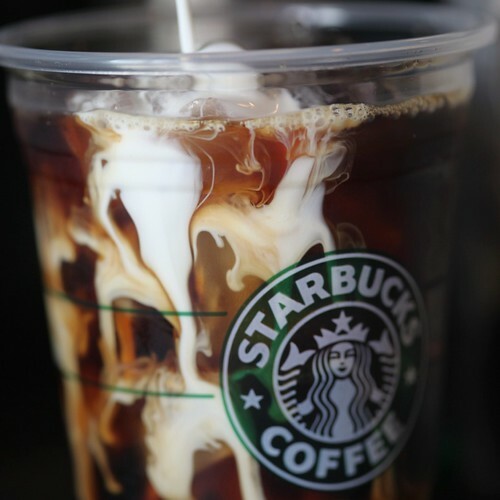 An afternoon treat, Venti iced coffee with milk. Yum.